What would cause a 20 percent decline in firearm injuries in the U.S. during a given period of time? According to new research published in the New England Journal of Medicine, the answer is the National Rifle Association’s annual convention. Harvard Medical School’s Anupam Jena and Columbia University’s Andrew Olenski tallied both emergency room visits and hospitalizations during identical days three weeks before, three weeks after, and during NRA conventions between 2007 and 2015. 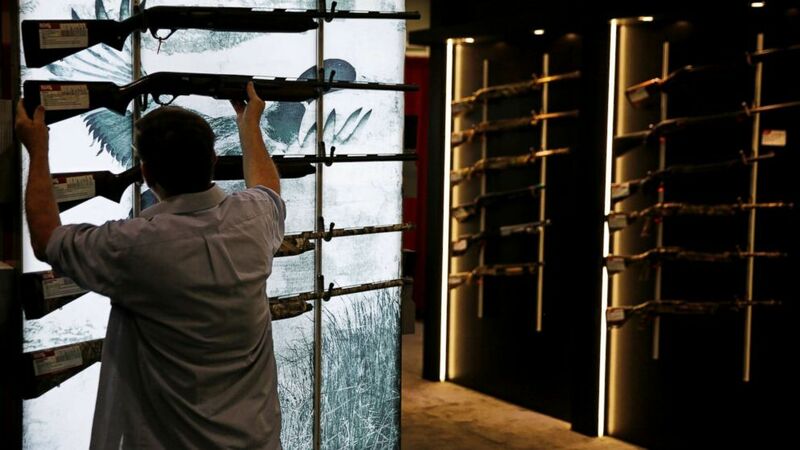 The NRA convention, which typically lasts four days, draws up to 80,000 gun enthusiasts. The NRA holds is annual meeting and convention in Louisville, KY, on May 21, 2016. The annual convention has all the big names in gun manufacturing from Smith & Wesson to Remington. Particularly striking is that local gun injuries — those that occur in the state that the convention is held — show a 63 percent drop during convention week. The researchers point out that local gun ranges often close so that their workers may attend the convention, as do some hunting areas. The cities studied, from 2007 to 2015, were Nashville, Indianapolis, Houston, St. Louis, Pittsburgh, Charlotte, Phoenix and Louisville. But a note of caution: It’s not that gun-related crime decreased. The aforementioned figures pertain solely to injuries. In 2015, for example, the U.S. logged nearly 85,000 firearm injuries, of which 17,000 were unintentional. Guns sit on display at the NRA annual convention where President Donald Trump is scheduled to speak later in the day in Atlanta, Friday, April 28, 2017. The authors concluded that firearm-safety concerns and risks of injury are relevant, even among experienced gun owners. In other words, when people who use guns simply aren’t using them for a week, injuries decline. Retired Army Maj. Noel Zarza, center, of Bloomington, Ill., examines a .50 caliber machine gun at the National Rifle Association convention Saturday, May 21, 2016, in Louisville, Ky. The decrease of 20 percent nationwide holds true only for men — most who attend NRA conventions are male — and the states in which gun ownership is highest showed the highest decreases in injuries. This study did not alter conditions to test a theory, it just looked at statistics and drew conclusions, so it can’t be said that the convention per se causes there to be fewer gun injuries. But they seem closely associated. Some statistics: Americans own an estimated 265 million to 300 million guns. Thirty percent say they own at least one gun, and another 11 percent say they live in a household with someone who owns one, according to the Pew Research Center. Jay-Sheree Allen, MD, is a resident in the ABC News Medical Unit.